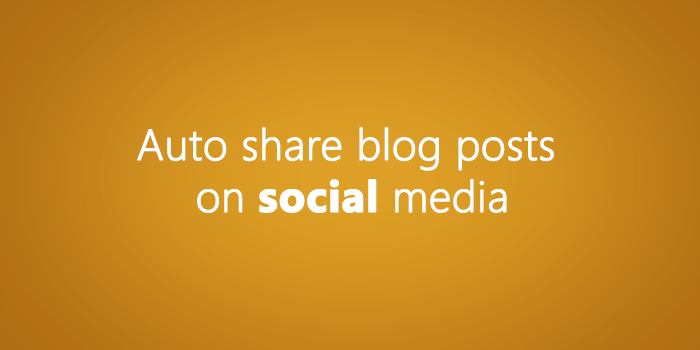 Auto Blog Posts share on social network is most important part of every blogger. Writing the blog posts were always the mid-step to successful blogging, the other half includes sharing the post with other relevant people, and readers who would find it useful. Unless you are one of the kinds of sites John Morrow has or Darren Rowse has, it’s you who has to go tell people that your blog is updated not the other way round. Social signal is very importat for every blog posts. If you want get more organic traffic, then social signal is most important. Sometimes we forget to share post posts on every social media. Then its come to need auto share blog posts on social media. Here is many ways to share your blog posts on Facebook, twitter, google plus and others social media. Follow some easy steps and do that easily. Now lets start the tutorial. Tweeterfeeds is really a good service to make automated publications on social media. 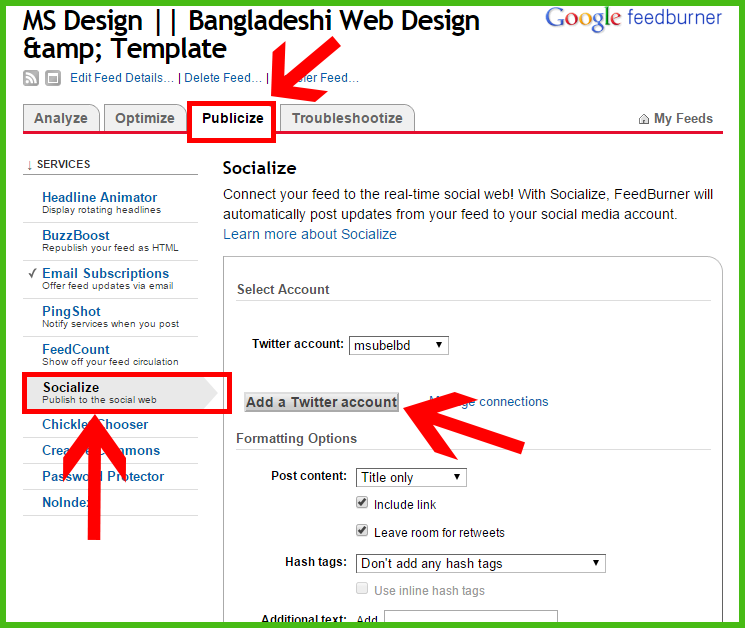 It can automatically publish blog posts to your selected social media channels as and when your posts happen. Twitterfeeds recognizes blog post through your blogs RSS feeds and then promotes them to either or all of your social media channels. Now lets go how to use https://twitterfeed.com for auto blog posts share. 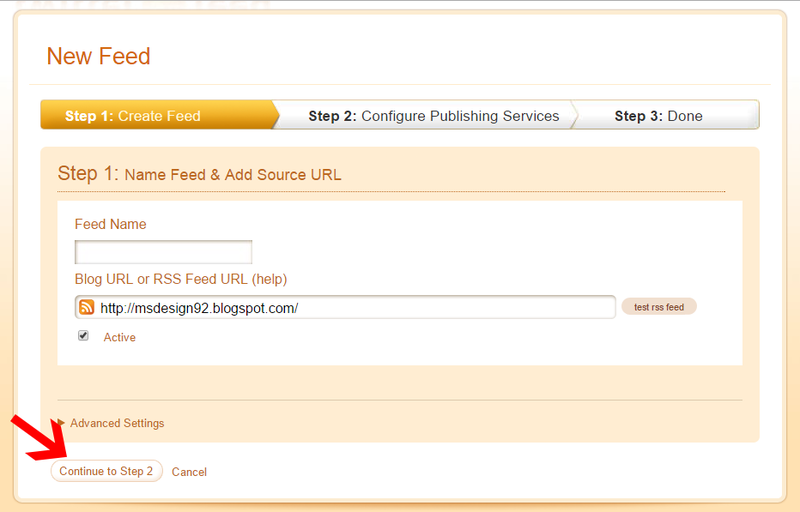 Step3: Now you have to need your your RSS Feed URL or your blog URL. Put your blog Name and URL and click "Continue to step2" button. 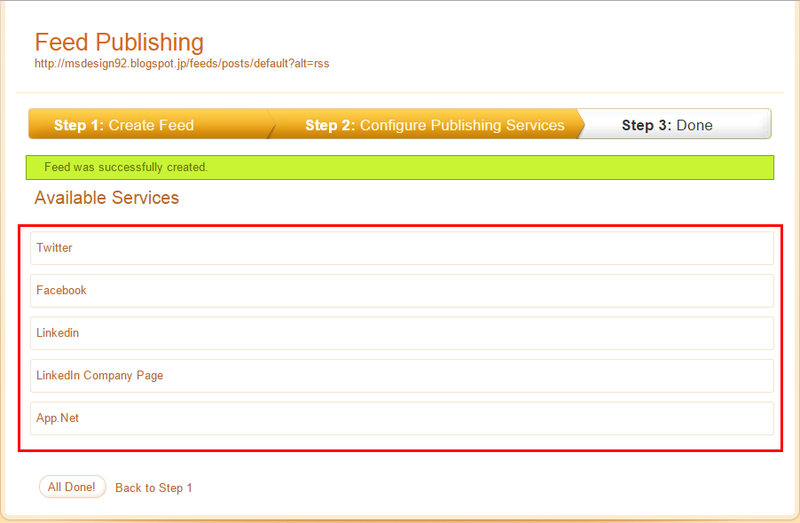 Step4: Now you can see All your available services. You should now add your all social media you want to do auto share. How if we just want to share on spesificly? Like just share it on Group and not share it in our facebook timeline?